Welcome to my stop for the debut offering from Hope Ramsay, a promising start for an author to watch, this story presented hallmarks of southern fiction with a solid ‘feel’ of place, quirky characters and plenty of down-home advice doled out frequently and often. Let me start with a tiny warning: this book dances around (sometimes directly) with themes of Christianity and prejudice. Neither crosses the line to overt action or preaching, but the elements are there. Those elements, to me, added a sense of honesty and place, while not always a welcome sense, a sense that added greatly to the understanding of the characters. Last Chance, South Carolina has become just that for Jane, who arrived on the bus from Atlanta. Running from a disastrous past, her choices are not always good ones, and she’s trying again to start anew with a (hopefully) different ending. Insane or hopeful, you be the judge because it takes Jane quite a bit of time to learn to distinguish solid people from scrubs. Enter Clay, the ‘knight in shining armor’ with feet of clay. No, I didn’t misphrase that – his constant ‘oh should I’ internal conflict was very old by the halfway point, and bordered on ‘man up” shortly thereafter. Clay’s intentions were good, even if he was scattered all over the place and sorely in need of the backbone and impetus to just DO something that Jane has. Other characters make impressions: Stone, Clay’s brother, who dances around the inappropriate behavior lines in his work, but shows a real heart in dealing with his young daughter. The “Ladies”, a group of seniors who dole out advice freely, meddle in everything but underneath it all just want to be of value to help the ‘youngsters’ find their way with as few mistakes as possible. Plenty of other characters are introduced and pass through – some make more of an impression than others, but each has a moment that shines and is specifically theirs. Starting a bit slowly, with some point of view switches that aren’t always clear early on, those issues soon settled as characters and their voices became familiar. A secondary romance was added to the plot without any great effect on Clay and Jane’s story, and it did wrap a troublesome point, but it felt rather convenient. Otherwise, the writing was solid and entertaining, the dialogue felt natural and the ladies sounded just like those I have encountered with family here. Narration for this story is capably provided by Kristin Kalbli and her southern accent is smooth and easy to listen to. You don’t get much ‘highly twanged’ country here, much to my delight, but she does use slight changes in accent, tone, pace and emotional overlay to voice each character. Jane was a particular favorite with her edge of “so that’s that” sort of attitude. If you want to try a piece of southern fiction, this is a good place to start. 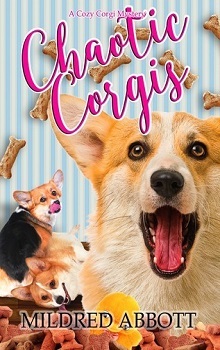 A promising debut offering from an author to watch. Yes, our town is way off the beaten path, but strange, wonderful miracles happen a lot around here. I've owned the Cut 'n' Curl beauty shop for years, and I've seen folks come for a visit, then stay for a lifetime. Take Jane-that pretty firecracker of a girl who just arrived in town. I would swear she's running from something. She came with only five dollars in her pocket but she's worked real hard to make a fresh start. She's turned my son Clay's life upside down without even realizing it. And thank goodness for that! Ever since Clay left his country western band, he's played everything too safe. He needs to take a chance on Jane. Besides, the more he tries to keep his distance, the more he'll realize that he and Jane are singing the same tune.But I should quit ramblin' and go check on Millie's permanent wave. Next time you're in Last Chance, be sure to swing by. We've got hot rollers, free coffee, and the best gossip in town. 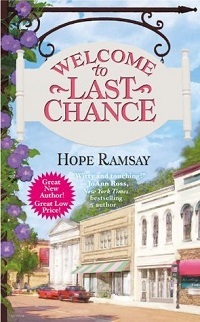 Hope Ramsay is a USA Today bestselling author of heartwarming contemporary romances. Her books have won critical acclaim and publishing awards. She is married to a good ol' Georgia boy who resembles every single one of her Southern heroes. She has two grown children and a couple of demanding lap cats. She lives in Virginia where, when she's not writing, she's knitting or playing her forty-year-old Martin guitar.